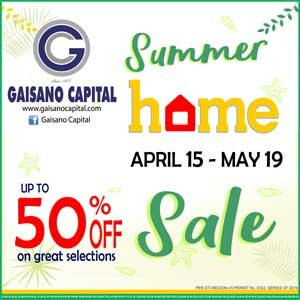 It’s Summer Home Sale at Gaisano Capital! Get the greatest summer deals of up to 50% OFF on houseware, kitchenware, home appliances, home decors, electronics and furniture from April 15 to May 19. Come and visit Gaisano Capital store near you where you can Buy More and Spend Less!